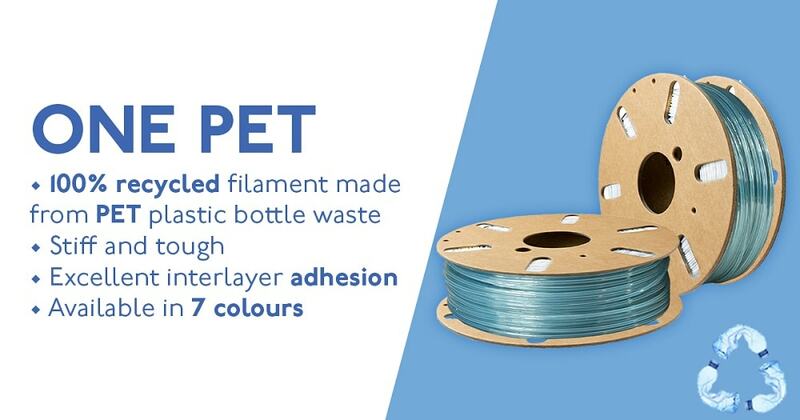 Filamentive, a UK-based 3D printing filament manufacturer, proudly unveiled ONE PET, a 100% Recycled 3D printing filament made from PET plastic bottles. It was made from post-consumer PET plastic bottle waste, in close collaboration with Tridea, a manufacturer of 3D printing filament from recycled waste. Filamentive has always focused on sustainability and is committed to reducing the environmental impact of plastic in 3D printing. The manufacturer already holds a list of product portfolio made from recycled materials – declared in accordance with ISO 14021. With the launch of ONE PET, the company now signifies a concrete effort to reduce the post-consumer plastic waste accumulating all over the globe. ONE PET 3D printing filament is not only defined by the environmental benefits, in fact, it is much more than that. Filamentive has rigorously tested ONE PET for numerous 3D printing applications. The results show that the new 3D printing filament is stiff and tough with excellent interlayer adhesion. In comparison with strong materials like PETG, ONE PET exhibits superior technical properties such as tensile strength. Currently, the filament is available in seven colours, in both 1.75mm and 2.85mm diameter variants. The filament is priced at £24.98 but is sold at a sale price of £19.99 on the Filamentive website. ONE PET was a joint effort of Filamentive and Tridea. Tridea is a Belgian recycling business who believes that ‘there is no such thing a waste’. Their mission is to create value from Belgium’s plastic waste, by transforming it into 3D filament to print products that can be recycled and sold again. For fulfilling this mission they partnered with Filamentive who are like-minded in their approach towards plastic waste. This joint effort is sure to benefit in negating the impact of plastic waste. Proudly to launch ONE PET, Ravi Toor, Founder & Managing Director of Filamentive explained, “In a world where less than 10% of plastic is recycled and in an industry where plastic is the material feedstock, we feel it is our duty to prioritise the use of recycled materials, and by working with Tridea, we are now making progress towards reducing post-consumer waste which has a considerable lower recycling rate than post-industrial waste streams”. About Filamentive: Filamentive is a market leader in sustainable 3D printing filaments. The company has experienced rapid growth and continues to address the questions surrounding 3D printing recycled materials. About Tridea: Tridea believes that there is no such thing as waste! They have developed a 360° platform to transform your waste into useful objects. 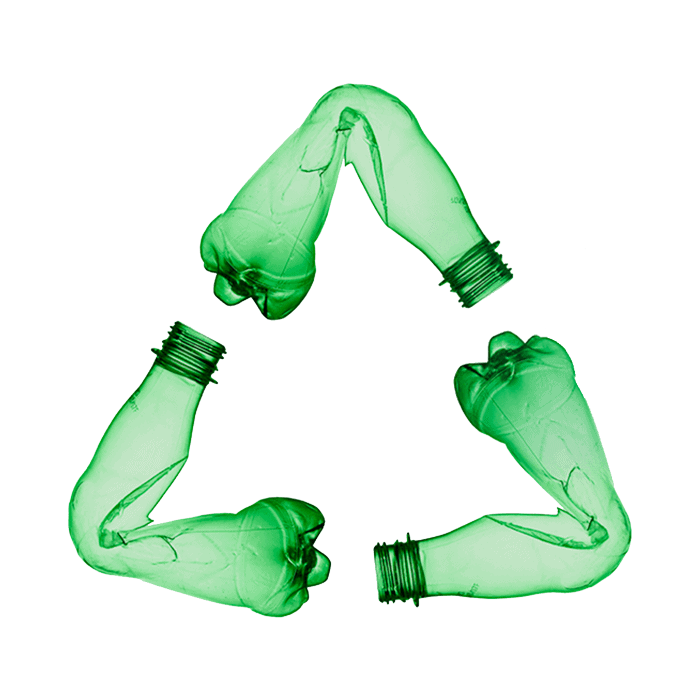 They have developed a new process of creating filament made out of recycled plastics. By working together they aim to raise awareness around plastic waste, reduce your waste tonnage and transform your waste into cool and useful products that you can recycle and reuse.